Our company was established in 1984 by Jorgen Simonsen as supplier of insulation, refractory and carbon materials for the global primary aluminium industry. The company is now managed by Klaus and Morten Simonsen and together they have expanded the activities. simonsen a/s is today the ONLY single company in the primary aluminium industry supplying a complete range of electrolytic linings for electrolytic and anode bake furnaces. The company also operates within the melting/holding industry, Waste to Energy (WtE) and the glass industry. 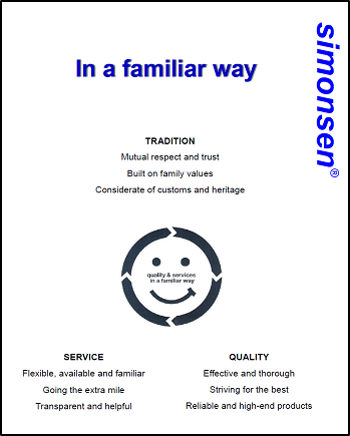 simonsen a/s is approved by all technologies and represents some of the largest producers globally. This site uses Danish butter cookies: Find out more.